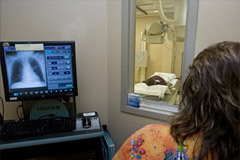 CT (Computed Tomography) scanners such as the one at Harlan County Health System allow doctors to see tissue as well as bone in ways that were never before possible. Using the CT scanner, HCHS clinicians are able to diagnose kidney, lung, spine, and blood diseases, and locate cancers, tumors and cysts as well as blood clots, hemorrhages and infections. The three-dimensional images are also excellent for orthopedic and vascular studies. 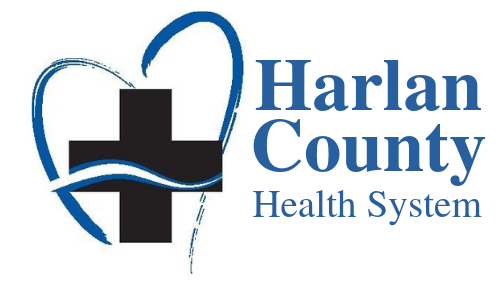 The Radiology Department at Harlan County Health system is staffed with four full time registered radiologic technologists Monday through Friday, 6:30 a.m. till 5 p.m., and Saturdays 8 a.m. until 12 noon. Staff is available on call at other times. For more information, contact the radiology staff or the director of Radiology, Tonda Ross at 308-928-2151 ext.143 or email tross@harlancohealth.org.